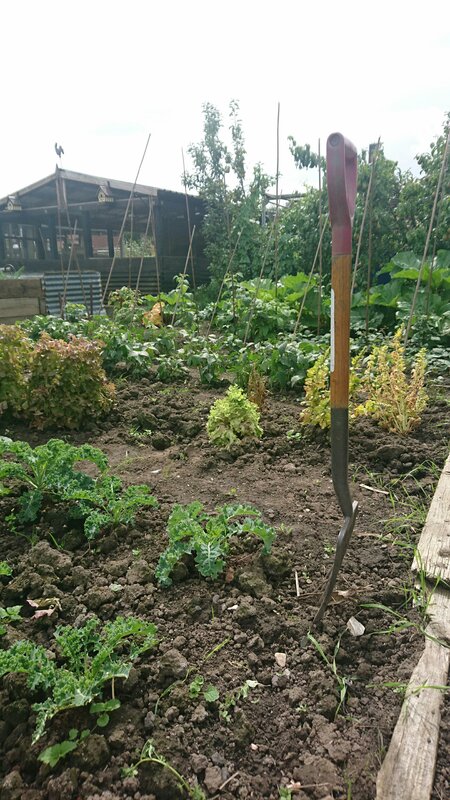 Yesterday I popped down to the allotment to feed the chickens – they are still in two distinct camps and never the twain shall meet except to peck at each other. Give it a few more days and they will have calmed down…hopefully! 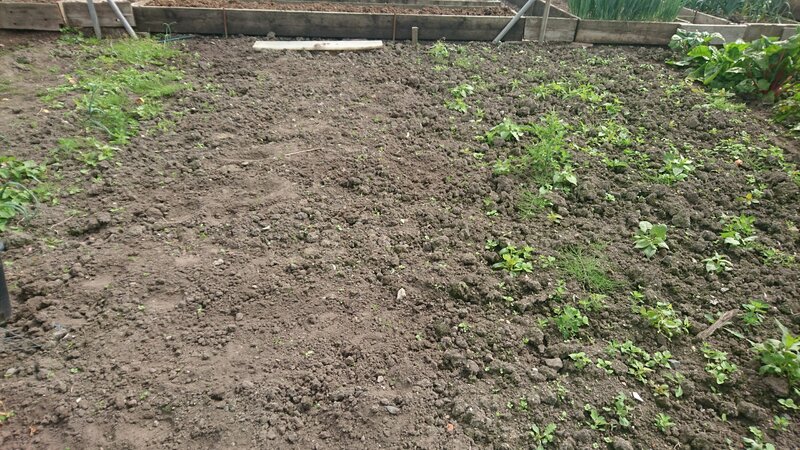 Birds fed, I started to clear more weeds from the centre of the plot which has been forgotten for weeks. I cleared a strip and have left the other strip for tomorrow. Steve and Phil arrived in the early afternoon to complete the weekly hive check. 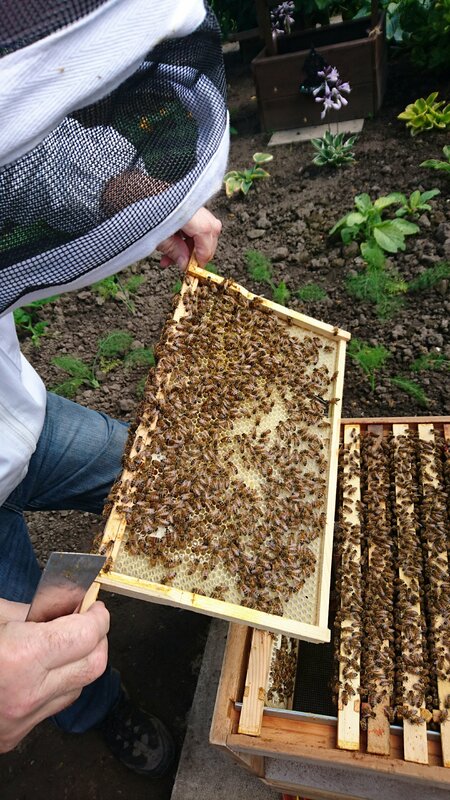 For some reason the hives weren’t checked last week so it was vitally important that a thorough check was done. 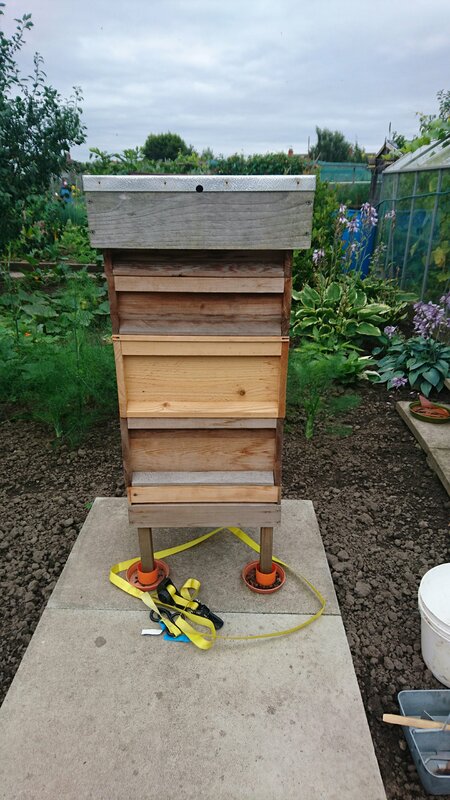 We started with thepre temperamental hive on Phil’s half plot – the wind got up and the bees were not happy about it! Three stings for Phil and one for Steve later, the inspection was complete. As always we couldn’t find the Queen but we did find evidence of brood so she has clearly been there in the last 3 days. Steve reckons we will have to paint her as she is almost impossible to spot. More worryingly, several of the bees in the hive have deformed wings – it might be a sign of the dreaded Verrona mite which blights colonies and is most prevalent in August. Phil is calling their bee mentor to ask about it. The second chilled hive was beautifully behaved as always and I completed the inspection. As an added bonus, I found the Queen! To be fair she is quite easy to spot as her body is a golden colour which stands out against the workers. So tomorrow, weather depending, more weeding and sorting of the chickens. The coop does need a clean but I need more shavings before I can tackle it fully.